We collected addresses from old city directories and other documents. It's possible that mayors lived in multiple locations during their terms, which this does not account for. And some of the locations from the 19th century are squishy. As always, we welcome corrections and other input. The home the Sheehans purchased on First Street. Kathy Sheehan's office announced Thursday that the mayor and her husband have bought a home in the Ten Broeck Triangle section of Arbor Hill and plan to move there after renovating it. "We have been looking for an opportunity to restore one of Albany's many historic homes, and we also wanted to participate in the revitalization that is occurring in our Downtown," said Mayor Sheehan. "Our new home is close to a number of new projects that include market rate and affordable housing. 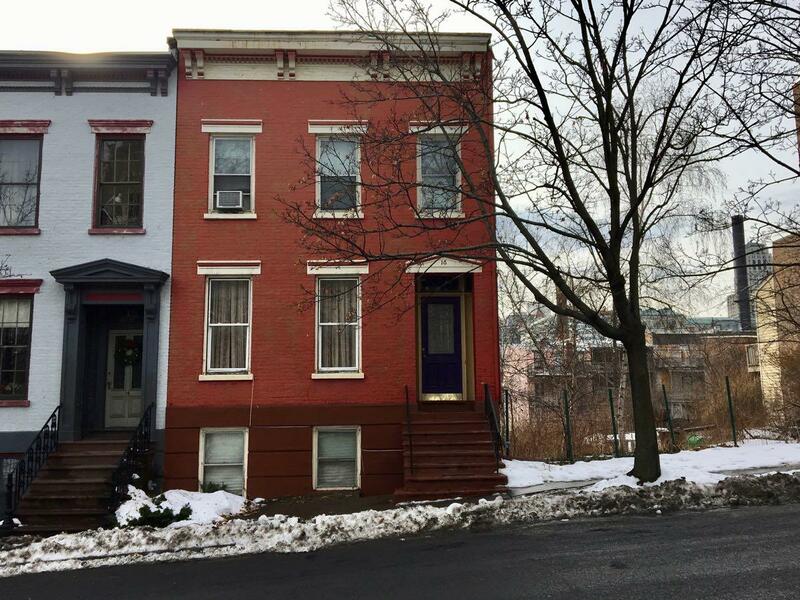 We love our current neighborhood, but we are ready to downsize and enjoy a historic, walkable, diverse, mixed-income neighborhood close to City Hall, the Palace Theater, The Rep, and all that Downtown Albany has to offer." Sheehan's choice to move to Arbor Hill breaks a longstanding pattern about where Albany's mayors have lived -- going way back. There's a large-format, clickable map at the top -- click or scroll all the way up. + Sheehan wouldn't be the first mayor to live in Arbor Hill. But she appears to be the first since Michael Nolan, who served as mayor from 1878-1883. And she'd be one of the very few since the Civil War to live more or less north of Washington and Central avenues. + Albany's last four mayors -- dating back to 1942 -- have all lived uptown or, uh, not really in the city. Erastus Corning 2nd's de facto residence was just over the city line in Bethlehem, Tom Whalen lived on South Pine, Jerry Jennings out on New Scotland Road, and Sheehan currently lives on Marsdale behind St. Peter's. + Arbor Hill is a beautiful neighborhood with plenty of residents take pride in it and care about the place. It's also one of the neighborhoods in the city that's experienced decades of disinvestment and some of the problems that go along with that. So maybe there's some symbolic value in this decision. + More importantly, it'll be interesting to see if having the mayor live in Arbor Hill changes the way people feel about the way the neighborhood is served. There are a handful of neighborhoods -- Arbor Hill among them -- in which we've frequently heard from people who don't think their neighborhood gets the attention it deserves from city government. Does that change when the mayor lives nearby? + By the way: The Ten Broeck Triangle is really nice. If you haven't been over that way in a while, it's worth a stroll sometime. This bit of research and the subsequent map is genius. I'd love to see more investment in Arbor Hill. It really is a gorgeous neighborhood. The way Clinton Ave lopes down to meet the river is beautiful. I looked to rent in that neighborhood but the housing stock is really shabby. Historically speaking, the move isn't really a departure from where previous mayors have lived! Very cool, nonetheless. And love the map! Fantastic! I think the Sheehans are setting a great example by making a personal commitment to the neighborhood. I love everything about this, right down to this great map. Arbor Hill will eventually be gentrified, even if it takes 10 to 20 years. Now that the renovation of Park South is nearing completion, the city will look to Arbor Hill. It's already well on its way with the substantial development in Sheridan Hollow. This is potentially good news for St. Josephs. I walk around it 2 or 3 times a week and the last few years the deterioration has seemed to accelerate. She will be looking right at it everyday from her front windows.